Fades railway viaduct. This viaduct, which is 375 metres long, crosses the Gorge de la Sioule (gorge of the River Sioule), in the Auvergne region of France. It was built between 1901 and 1909. At the time it was opened it was the highest bridge in the world, with the central span being 133 metres above the river below. It consists of a box bridge of steel girders and decking carrying the railway, supported by two massive stone pillars. 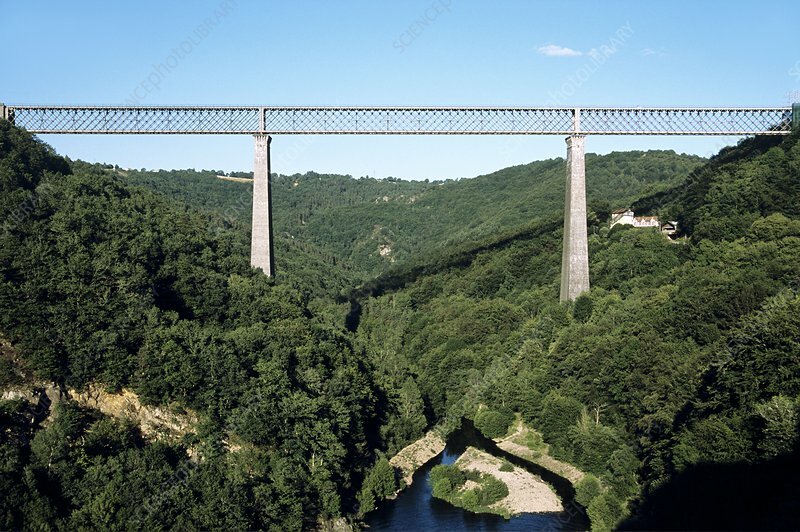 It is still the highest railway bridge in France.